Step 1: If the computer has a built-in ethernet adapter, please make sure that you disable it. Step 2: Boot into safe mode (press F8 during bootup). Once in safe mode, access the device manager (right-click my computer, left-click properties, left-click on the hardware tab, left-click on device manager). Expand the network adapters category and determine if there are multiple copies of the driver. If so, please uninstall them one by one until they are removed completely. Step 3: Go to Control Panel, Add/Remove programs, and uninstall the D_Link configuration utility. Step 4: At this point, restart the laptop and eject the wireless card. If you have a PCI adapter, do not reboot or remove the adapter. Step 5 Make sure that there are no background utilities running such as antivirus, crash guard, or firewall. If so, please disable them. Step 6: Run the installation CD in order to install the drivers for the wireless adapter. Step 7: If you have a laptop, shutdown the computer and install the adapter. Turn on computer and Windows should install the drivers. If you have a PCI adapter, reboot the computer and Windows should install the drivers. Move the antennas of the access point or wireless router into an L shape (one vertically, and one horizontally). The click on the Refresh button on the Site Survey screen. If the computer still does not see the Access Point. Then try moving your Access Point closer to the Computer. Then click on the Refresh button again. If the computer does not see the Access Point still, then try moving the computer so it is not flush with the wall. Move all things that may cause interference with the wireless signal. 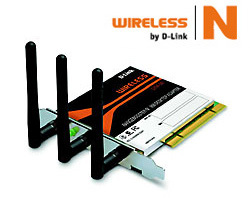 Open the D-Link Wireless Utility, and select Site Survey. Select the Wireless Network you wish to connect to and then select the Connect button. If you still cannot get a wireless connection power cycle the network. If My network is not showing in Site Survey? How to install D-Link Wireless Bluetooth DBT-120 Rev C in Vista or Windows 7? How to enable DHCP on D-Link adapter? 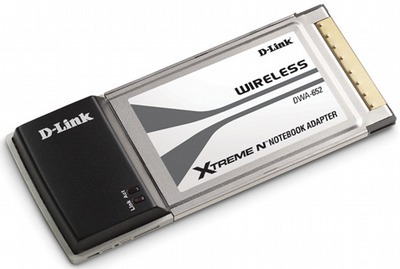 How do I Confirm if my D-Link dwl-g122 adapter is installed properly in Windows XP?